Please find below important policies that staff, volunteers, and board members follow. Please avoid wearing perfumes and colognes at Family Matters. Some of us are very allergic. We are committed to being breastfeeding friendly! If you or your child have the following symptoms, please do not attend Family Matters programs and events: fever, diarrhea and/or vomiting within the last 24 hours, coloured mucus, a general feeling of being unwell. Family Matters works with Public Health and dieticians to promote healthy eating and snacks at our programs and events. Local foods are used whenever possible. All foods are provided by Family Matters unless otherwise stated by staff. Family Matters staff and volunteers cannot accept children’s birthday party invitations. We welcome cards and small, simple, homemade items from children. Letters of thanks are also welcome. You have the right to be treated with respect by staff and volunteers. We ask that you return the favour! Praising children who are following the rules encourages them to repeat the behaviour. Assisting a child to replace inappropriate behaviour with an appropriate behaviour. Staff explains why inappropriate behaviour is not acceptable. Discipline statements are expressed positively whenever possible. Comments are made about the behaviour, not the child. In extreme cases where a child is putting the safety of other children at risk (i.e. hitting, biting) and all other guidance techniques are ineffective, the parent or caregiver may be asked to remove the child from the remainder of that day’s program. 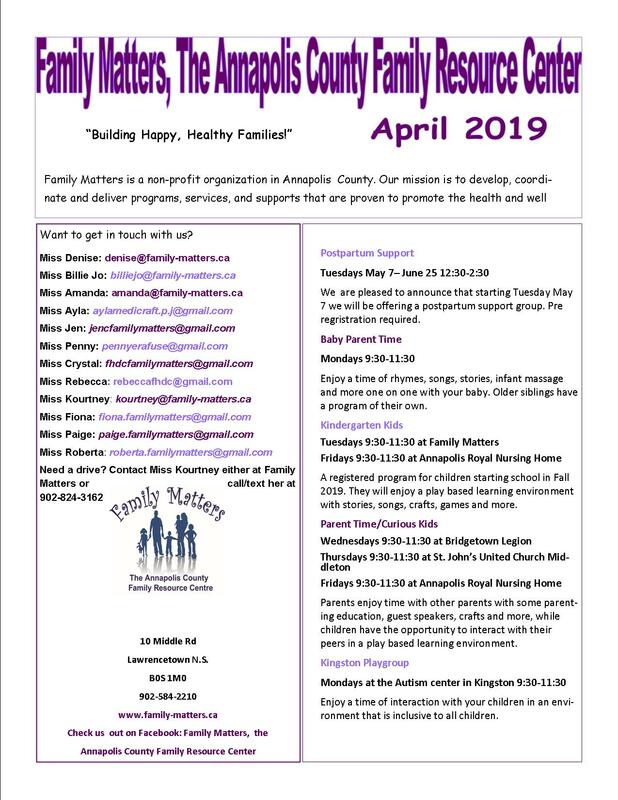 In this case, that child and his or her parent / caregiver will always be welcome back at the next group or activity offered by Family Matters!